I am up in Mass visiting some companies in the area and doing a presentation on the state of communications and tech markets - so while I am offline feel free to visit other parts of the TMC network to check out the latest news and analysis. But before I sign off - some of the most interesting stories recently have to be Apple becoming the most valuable public company in the world, Cisco beating lowered expectations and Amazon leveraging HTML5 to allow Kindle reader access via web browsers. Let's start with Cisco first - the company has put out so much bad news lately, the fact that this bellwether had a beat actually helped the entire stock market regain confidence. If you missed it this morning, it seems hedge funds and others who are short the markets are pushing rumors of European banks having tremendous problems. This is exactly what happened with the Lehman Brothers collapse in 2008. Markets have the ability to drive companies into insolvency by stoking the flames of fear, uncertainty and doubt. The good news for those who are looking for stable financial markets is that as of this writing, the networking giant is up over 16% to $16.02. The other two news items are huge as well - Apple, a company in the hardware space - an area we all consider a commodity has used a combination of leading-edge supply-chain management, a massive cash horde and brilliant design and usability to become more valuable than any other company in the world. And with their locked-in ecosystem, the amount of revenue it will continue to generate via its music and app stores will continue to grow for years. A few months back, Cablevision released an iPad app allowing consumers to watch hundreds of channels and thousands of video on demand titles. How successful was it? Well it was downloaded more than 200,000 times making it one of the major killer apps for the iPad. Now, the same app has come to the iPhone and iPod Touch. The only limitation of the software is it only allows you to watch TV in your home or as far as your home WiFi network extends. The move to HTML5 is one of the most exciting developments I have seen in tech as it ties together cloud, mobile and the concept that programmers should be able to write once and have their programs run anywhere. Moreover, the hundreds of millions of Apple iOS devices that do not support Adobe Flash do/will support HTML5 and as websites slowly begin the transition to this new web standard, every tablet should for the first time be able to view most every webpage. It’s no wonder HTML5 is being credited with allowing a 15-year post Internet boom mega-cycle. A few potential casualties of the HTML5 revolution are app stores who have a lock on the real innovation taking place on their platforms and of course Adobe – the company behind the Flash standard which has made the web a much more robust and creative place. Skype for iPad is here! It was much-anticipated, released, then pulled, then re-released and it works great. The company said there were problems with it causing them to pull and then release it a few hours later. (Update) TMC's Erik Linask thinks the problem is related to chat bug. There isn't much to say except it has better quality than the iPod/iPhone version but the front-facing iPad camera is certainly a major limiting factor in the quality of the video calls you will experience. An additional feature beyond what you can do on the iPhone is the ability to chat while conducting a video call. Anthropomorphism or assigning human characteristics to nonhuman objects is alive and well in the world of advertising. 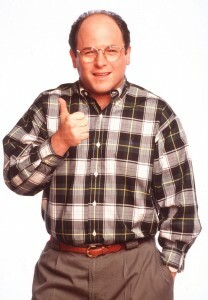 Perhaps the best example of advertisements which embody this technique are of the “Mac Vs. PC” variety where the Mac character is young and hip and the PC is cross between Bill Gates and Seinfeld's George Costanza. Back in 2007, voicemail transcription service PhoneTag, formerly SimulScribe put out an anthropomorphized video as well which is a take-off on Apple’s ads. For well over half a decade, radio has been a one-way medium allowing you to listen to a station or change it. Until Pandora and other streaming radio stations like Slacker and Spotify, radio spoke to you and you basically took what it gave you. If your favorite DJ got on your nerves or the music mix was not what you wanted, you had little choice. Moreover, if you wanted to know what song was playing or to see the album art, you were stuck. Two of the major drawbacks to a perfect cloud-based existence where the browser serves all your needs are speed of remote apps/services and UI flexibility. It just so happens, two news items have coalesced recently to help usher in the post-OS world. You see, while the tech pundits debate the idea of a post-PC world, companies like Google are going a step further and hoping to get rid of the operating system on the tablet, PC, smartphone and just about any other computing device you use. HTML5 is one of the primary drivers of the flexible new UI allowing truly customizable media to be shown to users.